Keith and Sally founded the Association for Environment Conscious Building in 1989 following their concern about the use of unsustainable tropical timber in the UK construction industry. They are committed to disseminating information on green building with particular emphasis on promoting eco building products. Keith’s publishing business, the Green Building Press, publishes Green Building ezine (formerly Green Building magazine and previously Building for a Future) and the Green Building Bible. Chris is an independent advisor to government ministers, local councils and to senior executives in the construction, water, housing and oil industries. He is also a well known writer, broadcaster and international conference speaker and leading UK environmental campaigner. James works alongside all of our team, members and clients. He has an in-depth understanding of the importance of customer service and recognising the need to balance profitable growth and sales with customer satisfaction. 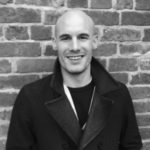 James has spent some time abroad travelling and being involved with sustainable eco projects and has spent the last 15 years in business development across various sectors. 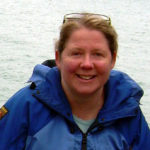 Sally manages the finance and administration aspects for the AECB. Her expertise is in finance, personnel and administration processes. She provided support for the CarbonLite and Passnet porgrammes. Along with Warm, Low Energy Building Practice, she helps run the CarbonLite courses. 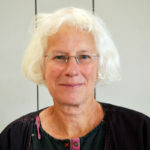 She is also one of the AECB’s founders. Tina trained as an earth scientist with particular focus on the causes and impacts of climate change. She has worked in education, IT and editing technical information for a broader audience. She has retrofitted her own home to the EnerPhit standard and consults on domestic energy efficiency. Tina has been involved in the CLR online course for several years, initially editing and getting the material into the online course format. Now she is running the course as well as looking to develop it further, to bring new students to the course and to grow the CLR graduate community. Members of the AECB Board of Trustees are elected at the Annual General Meeting. Candidates must have been a member of the Association for a minimum of one year to qualify for election. Trustees are unpaid. 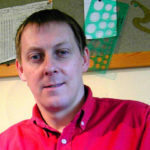 Gary is Managing Director at HPW Architecture based in Hampshire. Gary and his team aim to minimise impact and energy use in the construction and whole life operation of the buildings they design. Having had a passion to deliver low energy solutions to his clients for many years, Gary went back to University in 2008 and gained an MSC in Sustainable Building: Performance and Design at Oxford Brookes. Focusing on Building Physics, POE, Bioregional material sourcing and Dynamic Thermal Modeling, his study and research now informs the holistic, integrated and independent approach adopted by the design and technical team at HPW. Gary has a very active involvement with the construction industry and sustainably focused regional and national organisations throughout the UK. 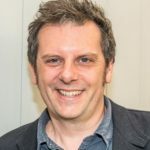 He regularly speaks at and chairs events and is keen to continue bringing his commercial contacts, experience, enthusiasm and energy to the AECB team. Fran is an architect, and has been a partner at Anne Thorne Architects since 1996. She has extensive experience in participatory design and community projects and has contributed to developing and promoting sustainable design and refurbishment. She has been a member of the AECB since its early years. Increasing participation by all AECB members in the work of the organisation, and reflecting women’s experience of, and concerns about, the urban and built environment, are a priority for her. 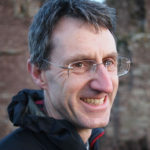 Chris has been serving on the Board (previously steering committee) since 1995, and was chair of the AECB for 8 years until stepping down in 2013. Chris is a founder director of Environmental Construction Products Ltd, which operates the Green Building Store and Green Building Company. His key role is in steering the future direction of the company and the products and activitites that fit within that direction. The company decided some years ago to make Passivhaus a key focus, and as a result it is now acknowledged as an important and influential SME in the Passivhaus field. The company built the flagship Denby Dale Passivhaus and continues to undertake ground breaking Passivhaus construction projects. Alongside this it has developed key expertise and product ranges in Passivhaus fenestration and ventilation among other areas. Chris was part of a small core AECB team which instigated and took forward the development of the UK Passivhaus Trust, and he has been chair of the Trust since its foundation. 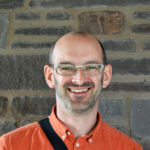 He also plays a role within the international Passivhaus community, and is currently chair of the International Passivhaus Affiliates Council. Chris has been passionate about environmental issues since his teens – a passion he is proud to have inherited from his father. His career path has been varied, from communard, social worker, special needs teacher and childcare to joiner, gas installer and small builder and now approaching 20 years in his current role. Mischa Hewitt is a sustainability consultant and project manager. He has an MSc Architecture: Advanced Energy & Environment Studies from the Centre of Alternative Technology / University of East London and is also a Certified Passivhaus Designer. He is the co-author of ‘Earthships: Building a zero carbon future’ published by IHS Press and is a director of The Low Carbon Trust, where he project managed the award winning Earthship Brighton project. Mischa also runs the sustainable building company Earthwise Construction based in Sussex, and in recent years has organised many environmental events, including the ‘Eco Open Houses’ weekends in Brighton and several conferences. In his spare time Mischa plays the piano and composes classical music. Mischa is also very active in the Brighton (South East) Group. 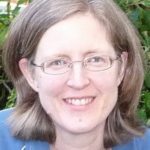 Julia Bennett is a UK registered architect and Certified Passivhaus Designer with a Masters in Energy Efficient Building, based in the Cotswolds. She is a long-standing AECB member and local group coordinator, with a passion for sustainable design, stakeholder involvement and collaborative working to achieve integrated positive communities and developments. 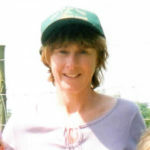 In the 90s Julia was a Trustee of the Association for Technical Aid Centres, and the Axiom Community Arts Project in Cheltenham, and Sustainable Solutions coordinator for Stroud Community Planning Conference and for the community-led Local Agenda 21 initiative in Gloucestershire, Vision 21. She has used ‘whole system’ facilitation and consensus-building techniques and workshops to bring large and small groups of diverse stakeholders to work and engage together on highly complex issues and projects. 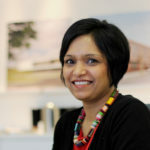 Her work has included roles for large multi-disciplinary practice Atkins, architectural coop Quattro Design Architects, small private practice Tyack Architects, and she is developing a passivhaus and low energy consultancy in close collaboration with Cotswold Green Energy on projects such as the first PH certified house in England. Other work has included primary and special schools for Gloucestershire and Oxfordshire, community, arts and environmental education buildings, mediaeval timber-framed structures and historic stone buildings, private houses and developer housing. She also volunteered in Ladakh in the Himalayas on the acclaimed Arup-designed sustainable school project, Druk Padma Karpo School. 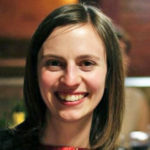 Her passion for the supportive learning network that is the special core of the AECB extends in challenging times to stand to be a Trustee to contribute to continued collaboration and capacity-building within the membership at all levels, from one-to-one connections to strategic engagement with others. 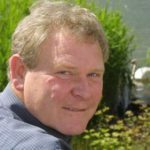 Paul Jennings of Aldas is the most experienced airtightness tester and consultant in the UK, and an AECB member for over 15 years. He has presented at several conferences and demonstrated the door fan test equipment at others. 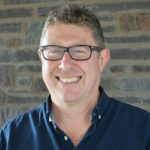 He is a Certified PassivHaus Consultant and has been involved in many UK PassivHaus projects, including the first certified domestic and non-domestic PH projects in Machynlleth, both built by John Williamson, and most recently the Lancaster Co-Housing Project (41 PH houses and flats) for which Andrew Yeats is the architect. Paul is an experienced trainer and originated the “Airtightness Champion” concept, delivering numerous CPD seminars. For many years he was a non-executive director of the charity Carbon Descent, originally Southwark Energy Agency, former AECB members, specialising in governance and employment issues. 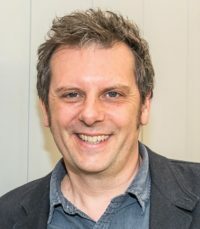 After relocating out of London to a community near Bude, he formed the AECB South West Local Group and was leader for a time before relocating to the Cotswolds for family reasons. Sarah is a building physicist, Passivhaus consultant and project manager with over 8 years’ experience in the construction industry. In that time, she has worked on a range of projects. She now specialises in minimising energy use in buildings in the building fabric and building services, and ensuring quality in both design and construction. She teaches building physics for the Retrofit Coordinator and will develop content for the new Retrofit Coordination and Risk Management level 5 course funded by the CITB. She is also an active member of the UKCMB Moisture in Existing Building working group. She wants to stand for the AECB as she believes they are, and should be, quite central to the UK movement of improving quality in construction. Only when buildings are constructed as designed, can they be truly sustainable. The key to achieving this is by bringing low energy design and construction processes such as AECBBuilding Standard, Passivhaus and the CarbonLite Retrofit Course to the general construction market. She would like to be a part of this, in helping the AECB communicate with the construction industry, and with the general public to show that these standards don’t have to be exclusive to specialist, high-end developments, but have some fundamental qualities that should be applied to all projects. Liam has worked exclusively in airtight construction for the last six years beginning his career with Lancaster co-housing and moving on to Erneley Close in Manchester before setting up NestHaus, a Passivhaus construction company four years ago. He hopes to join the AECB board to help push for more energy efficient construction methods to be used in the UK construction industry. He believes his background in energy efficient construction and experience of working both as an air tightness champion and main contractor gives him a useful knowledge base he can bring to the AECB. 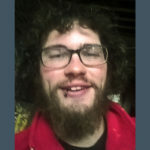 He is also very talkative and enjoys training people to work to the required standards for energy efficient construction and would love the opportunity to bring this to the AECB. Peter Wilkinson is an architectural technologist and partner in architectural practice EcoDesign, and managing director of both Dales Contracts Ltd and Dales Renewables Ltd. Peter studied at Leeds College of Building and Leeds School of Architecture, gaining an HNC in architecture, and is a member of the Chartered Institute of Architectural Technologists. He has subsequently qualified as a planning supervisor and a bench joiner, applying his practical knowledge and skills to the businesses. Peter became a Passivhaus designer in 2009 and helped set up the Passivhaus Trust later that year and is an AECB representative on the board of the Trust. 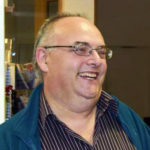 He was Treasurer of the AECB for several years before becoming its Chair in 2015. Peter spent his first 20 years as a civil engineer, specialising in large-scale water treatment and land reclamation. He has always been interested in environmental issues and in the early nineties founded the environmental building company Greenbuilt. With his then work partner Chris Coates they explored Segal style buildings at the Centre for Alternative Technology, and traditional constructions, resulting in their first major project. This was a cruck frame barn in green oak which became a core element of Lanternhouse, a RIBA award-winning artists’ project base and training centre in Cumbria. As well as construction projects with Greenbuilt, Peter works with arts companies, is the former chair of the trustees of a local social enterprise, Community Works, is a member of Sustainable Staffordshire, a member of Staffordshire Business and Environment Network and a grandad to Zak and Isabella.